SpendMap now supports encrypted (SSL/TLS) connections to the mail server. Better security aside, we have been finding that more and more e-mail providers (like Google’s Gmail) no longer support unencrypted connections. If you previously had trouble getting SpendMap to work with your e-mail system, please try again after upgrading. Please note that to send e-mail, SpendMap now requires the Microsoft .NET Framework v4.0 or above to be installed on the PC (available since 2010). We normally don’t make changes to published versions of SpendMap but we made an exception in this case due to recent changes at Google and the increasing number of requests for this feature. The free version of SpendMap now includes a free, built-in e-mail service, which you can use instead of configuring the system to use your own e-mail server or ISP. Just enter “SpendMap” in the Server Name or IP Address field in E-mail Settings to use this free service (don’t worry about the other SMTP settings as they will be ignored when using the built-in e-mail service). The Online Help for the Server Name or IP Address field has additional details. 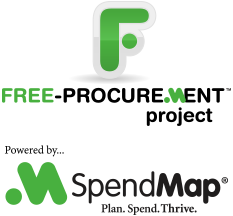 For new downloads of the free version of SpendMap, the Evaluation Copy is preconfigured to use this new e-mail service. If you already have SpendMap installed, your settings will not change automatically but you can manually change the Server Name or IP Address field per above if you want to use this free service.